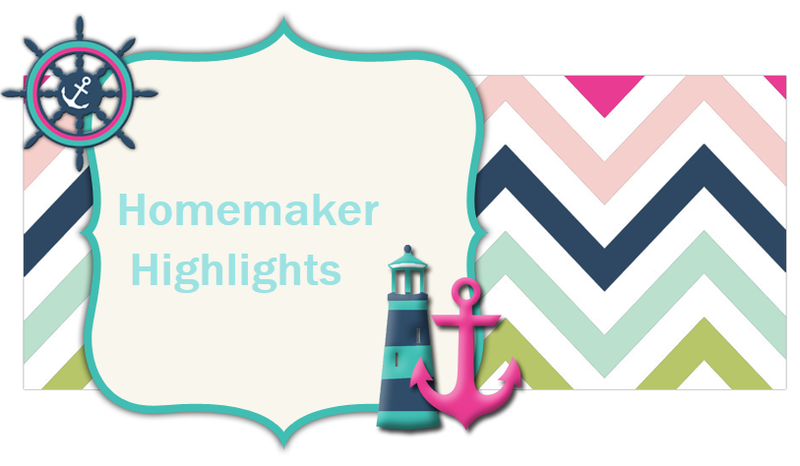 Homemaker Highlights: Lilly's awesome giveaway..
First off I have to thank my dear friend Angel...if you have not read Angel's blog...What are you waiting for? Go to the right hand side of my page and click on her button. You will love Angel's writing. She has the best sense of humor, wise words, and if anyone can encourage you..it will definitely be Angel. I met Angel on a Mom site and loved her journal posts. We became fast friends and started talking over the phone. She has been there through everything with me and she has always given wise words....and she is honest with me. I love that about her. I can tell her anything and she will give me her honest answer back. She can also think of the perfect scripture to lift you up in a situation. I also love her sense of humor....to this day when I hear..."Just saying"...I think of Angel and it makes me smile. She can put it behind some things she says and it just makes me crack up laughing. I think what I most appreciate about Angel is her understanding. When we were going through things with Lilly..she was right there to talk with me and pray with me. She even told me when she was listening to Rod Parsley one night and she lifted Lilly up to prayer after a testimony about a child with Autism(Lilly is borderline Autistic and was going through testing at this time.) I still remember that conversation on the phone we had and just listening to her telling me about a friend's child. She completely understood what I was going through. I do believe she was a friend sent to me from the Lord...I don't believe it was just chance that we met online. The Lord knew I needed someone like Angel in my life and I am thankful for her. I love ya girlie and thank you so much for sending your kind readers over to my blog!! Now, if this doesn't bring her to my house, with Gene, and those cute boys of hers...Doug of which is going to be famous one day and I can say..I knew his Mom:)...then I don't know what is going to get her down here. We have a lot of yard selling and thrift stores to hit together. Now for all of Angel's friends and my new friends!! I am so thankful you guys came over here and showed me some love. I am going to look at each of your blogs and follow as well. I will have plenty of time on Monday and I look forward to getting to know you guys. I am so excited about this giveaway and you guys have made my week. My last giveaway...I didn't get any entries. With this giveaway Angel sent you guys and then two of my cousins showed up to show some love...so a big thank you to my cousins Judy and Martha as well. You guys have been so kind to me and all the kind words...thank you for all the comments on my girls and I seen another poster has a miracle child too. Just meeting you ladies has made my week:) Angel talks very highly of you guys. So on to the other news of the blog....Your kindness encouraged me so much and Lilly was curious and started asking questions. I explained how I was doing a giveaway, how Mommy's friend helped her, meeting some new friends, and so forth. She was so excited she asked could she give away a basket too. So over the weekend we made a basket giveaway for the kiddos! If you have already registered for the "Spa" giveaway basket..you are automatically signed up for this basket. If by some chance you do not wish to be signed up for this one..just let me know and I will just include your name only in the Spa basket. For the kiddo that receives it...this is totally up to you...I would be happy to post their picture holding the basket to the blog. Colored chalk...Lilly says "Don't draw in the driveway...it's too dangerous. You should draw a hop scotch on the sidewalk." Speed racer stickers...Lilly says "This may be for boys. You put them on the paper and you draw." The Adventures of Donkey Ollie DVD (Christian DVD)... Lilly says "It's got kids, animals, and a donkey. Nana and Pawpaw went to the store to look for this...but, the store was the finish line and they couldn't find it. Mommy gets it for free." Max's magical delivery..fit for kids (DVD)... Lilly says "They got kids on town and they got a mailman with a mailman truck. They do a lot of magic. The mailman takes all the deliveries to the mailboxes and houses. There are some actors and you press play." Lullabies CD...Lilly says: "They got some kids that go to sleep in houses...in their bed. The sun goes up and down. The sun goes down with the moon and the moon goes down with the sun. That makes kids sleepy with the songs and then they wake." HoHo bag (Handmade by Lilly at school)...Lilly says: "There's a hole..put your hand in it. You turn ho ho around to look around. You help Ho Ho to jump and you take it off..then you will be sleepy." Huggies baby wash sample....Lilly says: "It's for babies and it's for hair....you have to use in a bathtub..not a toilet. Wash your hair and you will be clean for school. If you get sleepy tell your Mommy...to get the soup off of you...the soap helps get the soup off of your body." A book about Jesus (When she saw me get mine from my personal collection..she got one from hers)...Lilly says: "Jesus was on the rocks and prayed for it. Three people is on a boat. The sun is going down. Jesus wanted to go home...but, Jesus was not going home yet. The three people were in a storm on the boat. The storm is getting closer to the boat. The water was going too fast and the water was getting the boat up to the sky. Then Jesus was in the river..not down in the river...up on top the river..the boat is getting closer to Jesus and the sun is going down. Jesus calm the water and Jesus wanted to get them out. Jesus put his hand up and said ...river down! The End." The book is Jesus walks on water. Thank you guys!! Thank you Angel!!! Aww you made me all teary eyed, you really didn't have to do that.. I loves ya and I knew they would love ya.. I called mom to read her Lily's basket description. That was too cute, mom said how old is she?? When I told her she said wow she is very articulate for that young.. my personal favorite is the Jesus story.. HA that was too adorable..
Wow Angel is an amazing woman & I consider her a close friend even though weve never met before! Shes so uplifting! Thank you Lilly for the awesome basket I know my son is going to Love it!! !